At Home Network, 2018. 07. 30. This year it's all about color and texture contrast, metallics and industrial look. We collected what the experts say about this year's hottest trends about styling your kitchen. We already saw the Scandinavian minimalist colors in the past few years, but this year you can experience with more vivid and vibrant colors. Even if it's just an accessory, it's important to reflect the owners personality. If you don't want to go full colorful you can opt to a two-toned cabinetry which can keep your kitchen from being too flat. Playing with textures and colors can bring warmth and more life into the space. Playing with different textures and materials can work well and makes the place vivid, as seen on this picture. A kitchen island is nothing new, but it doesn't seem to go out of style yet. An island can work as a dining area or even a storage. In larger kitchens you can also opt for two islands, with this added space everyone can be involved in food prep. 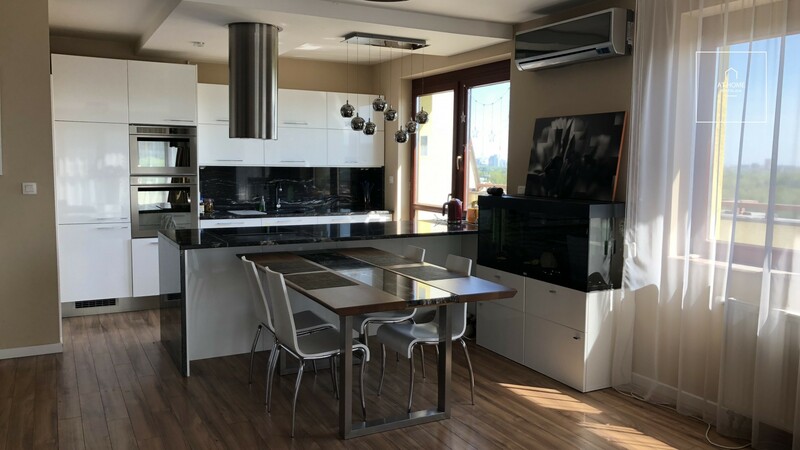 An island can be a vivid spot in the kitchen, you can add a different color or material, if you opt to a wood island you can add more warmth to your desing. With added seats it can be a breakfast bar, so that eating is incorporated in the kitchen area. Kitchen is the center of any gathering and with this addition it's also comfortable. This kitchen is already stunning, but with the with the added marble covered island it feels luxurious. Find it on our website. The island with the metal leg and wooden counter top brings warmth to the area. Find the rental it belongs to on our website. Brass is hot in this season, just like in 2017. If vibrant colors are not for you, you can add brass items to your kitchen to spice up the style. 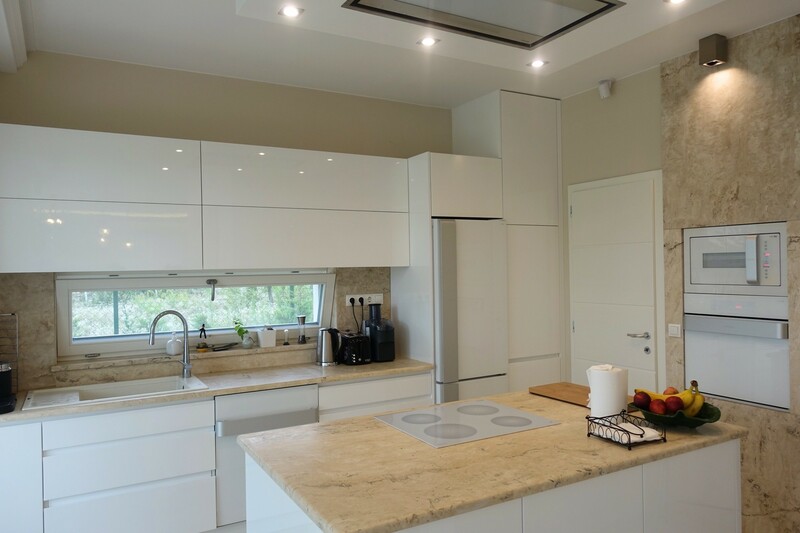 It has warm color and features the kitchen perfectly. Taps and sinks becoming popular made of brass, but you don't have to stop there. You can also choose colored metals like, black, white, red, blue, and more which look great mixed with brass or other metals like bronze or silver. It works well in kitchens, since there are lot of different opportunity, plumbing, hardware and lighting, or just combine matte and shiny. Matte and shiny works well in this kitchen. Find it on our website. 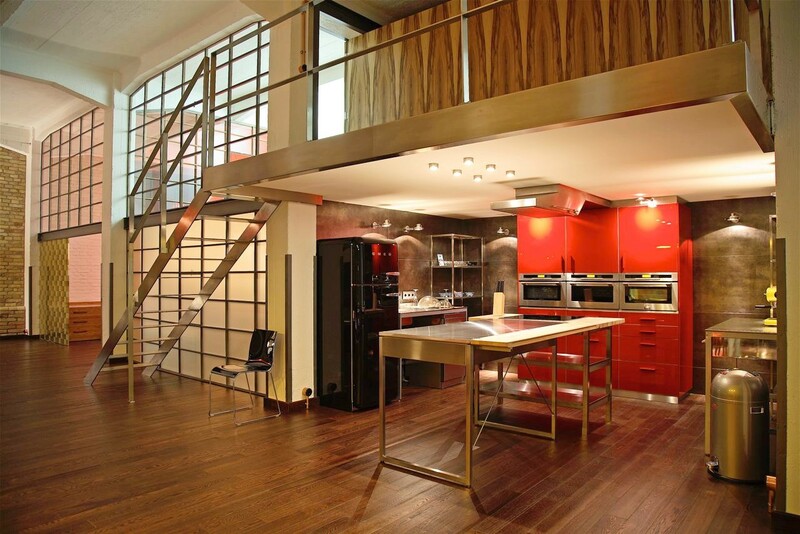 The metal materials are like accessories to this kitchen. Find it on our website. Industrial look is on the rise! Concrete effects and black materials are genuinly hot this year with their raw and simple style. You can use open style metal frame racks for storage, with this kind of kitchen everything has a purpose. If you feel it's boring, pair the metals and concrete with wood items. It has a real modern touch and with this design the open space feels even bigger. The look can work in a downtown loft or even in expansive villas, just like in penthouses. 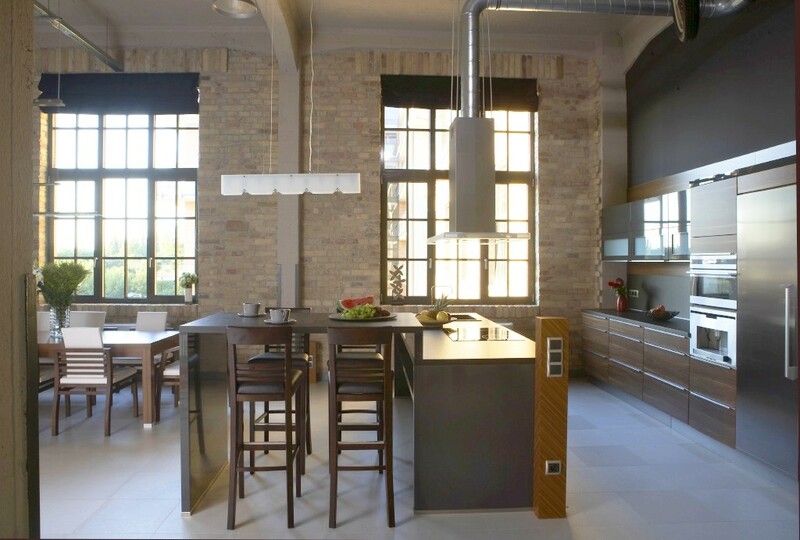 With the right flooring and brick walls you can elevate the kitchen to a whole new level.